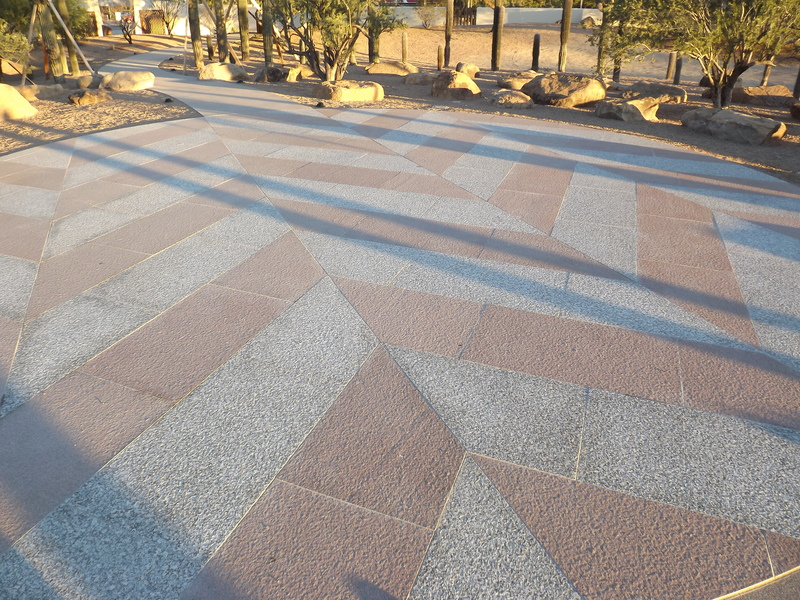 A paving project with intricate water jet cut Chevron pattern Granite pieces 5cm thick over a reinforced mortar bed. 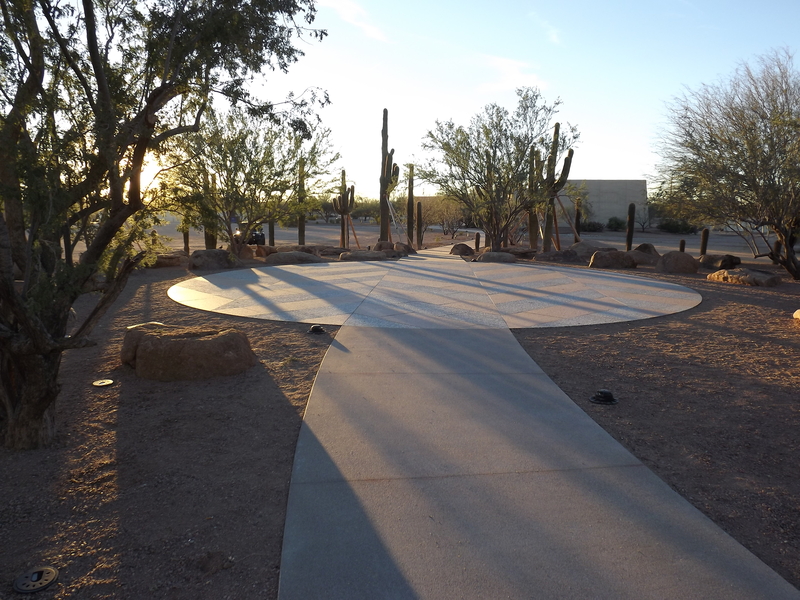 DMTM was contracted with ColdSpring Marble & Granite to provide a common area for craft venues – this project utilized waterjet cut 5cm flame finished Granite pieces. The setting bed consists of galvanized wire reinforced deck mud – to provide a true flat setting surface.